In this tutorial you are going to learn how to create google sitemap.xml which will allow Google to better index your WordPress blog. 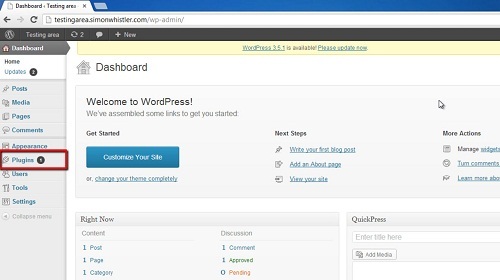 You will need to be logged into your WordPress site. In the menu on the left you want to navigate to the “Plugins” area. At the top of the page click the “Add New” button and on the new page locate the “Search” box, type “google xml” into it and click “Search Plugins”. This will build a list of available plugins and you to select the one that begins “Better WordPress Google XML Sitemaps…”. Click “Install Now” below the name of the plugin. In the dialog box that appears click “OK”. You will be directed to an installation screen and you will need to click “Activate Plugin”. 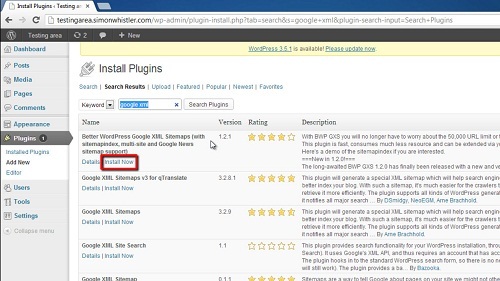 If the plugin has been activated successfully you will see a button appear in the left menu called “BWP GXS”, click on this. 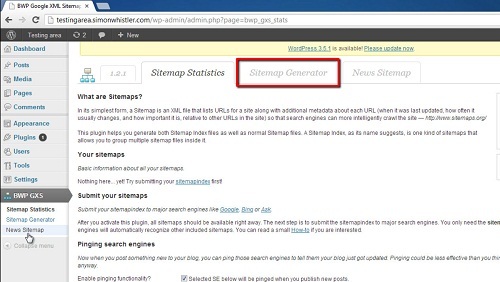 This will bring you to the plugin set up page, at the top click on the “Sitemap Generator” tab. Here you will be able to customize many of the options when generating your site map. To complete the process all you need to do is click the “Save Changes” button at the bottom of the page and that is how to create google sitemap.xml.